Slight variations in the body/s pH level can have great consequences on the general health, performance and recovery of athletes. While exercising, the continuous use of muscle glycogen for energy creates lactic acid, pyruvic acid, and carbon dioxide which reduces the muscles’ pH. The harder you exercise, the quicker your muscles become acidic leading to tiredness and reduced performance. This acidosis reduces the production of ATP, the energy molecule, and interrupts enzyme activity that produces energy. Acidity also decreases muscle power by limiting the contractile action of muscle fibers. Making use of alkaline water and an alkaline diet boosts general performance and endurance of athletes. Increasing your body’s pH in preparation and during athletic performance has shown great results, and great promise. 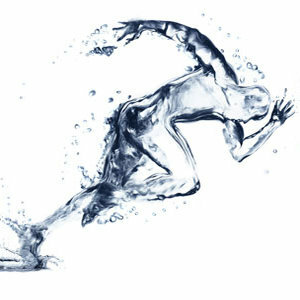 Studies show that alkaline water and an alkaline diet can raise the body’s pH balance preceding exercise, and create an environment more advantageous for athletic performance. These studies have shown the greatest advantages of this alkaline-induced saturation in heavy anaerobic activities such as sprinting and weightlifting. Alkalinity retains the muscles ability to effectively use oxygen longer during periods of high physical requirement. Alkaline Water has very small water molecule clusters that are able to hydrate the body’s tissue and its cells much more effectively than water that has not been ionized. A great comparison would be a softball trying to get through a chain link fence compared to a golf ball. It is much easier for alkaline water to penetrate your cells’ walls. As the small water molecule clusters hydrate the tissue and fill them with water they push out all the things that don’t belong in the tissue, which are commonly referred to as toxins. Evolution Alkaline water is also full of minerals which can help build your stamina. Alkaline Water has a pH of 7.5 – 10 which helps bring the pH of the body up to neutral (7.0) where it should be. This reverses the negative effects of the acidic conditions created by heavy exercise. The extra oxygen that it provides to the body translates into more mental alertness and more energy. Most people, including many athletes, do not eat sufficient alkaline rich foods, such as nuts, fruits, and vegetables. On the contrary, their diets contain high amounts of acid forming foods, such as meat, fish, poultry, eggs and dairy. Supercharge your diet and performance with Evolution Alkaline Water! This entry was posted in Alkaline, Antioxidant, Diet, water for health and tagged athletes on September 17, 2015 by Drink H2O.